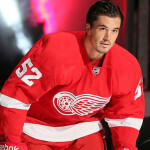 Jonathan Ericsson is an ice hockey defenceman for the NHL’s Detroit Red Wings. He is also playing for his country (Sweden) in Sochi, Russia for the 2014 Winter Olympic Games. 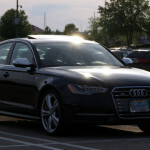 Ericsson was snapped about to climb into his Audi S6. The understated German powerhouse is powered by a 4.0L DOHC twin-turbo V8 engine, which produces 420-bhp and 405 lb-ft of torque. 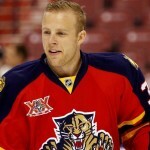 Kris Versteeg is a pro ice hockey star currently playing for the NHL’s Chicago Blackhawks. 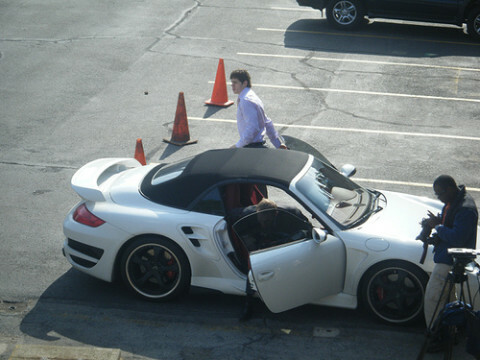 The Canadian winger is seen here with his black Audi R8. Although completely stock, it’s nice to see the bare carbon side pod option. The Audi R8 is sleek and stylish car; it’s just a shame its owner is wearing sandals and looks as though he’s just climbed out of bed. Henrik Zetterberg is a Swedish ice hockey player for the NHL’s Detroit Red Wings. The captain and centre/left wing has a cabinet full of trophies, including the 2008 Stanley Cup and the Conn Smythe Trophy as the Most Valuable Player of the 2008 Stanley Cup Playoffs. Zetterberg is also a successful Olympian, winning golds in the 2006 Ice Hockey World Championships and the 2006 Winter Olympics. As you can clearly see, Zetterberg is a classy guy. Suited and booted and posing for the camera, only a Maserati will match that slick back hair and shades. Yevgeni Malkin is a Russian center and alternate captain for the Pittsburgh Penguins. When he’s not playing, the 27-year-old Malkin owns a restaurant in Magnitogorsk, an establishment he wanted designed to look like the inside of a prison. 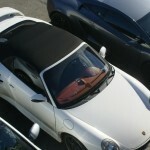 Malkin is seen here with his soft stop 911 Turbo. The black on white really works with this car, and the rear wing looks a little old school, a shout out to the ‘duck tail’ fin from the 80s and 90s. This Swedish NHL goaltender for the New York Rangers is no stranger to the exotic car scene; apart from this “stealth” Gallardo, Lundqvist has another orange Lambo and a soft spot for Maseratis. 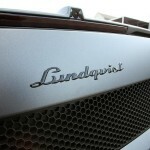 Obviously happy with his latest custom job, Henrik revealed his signature Gallardo on Instagram. 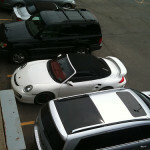 The once black car was given to Proformance Industries (guy pictured on the left) to work their magic. The Hockey star wanted a matte finish but was bored of black. After some head scratching the custom team decided on gunship grey, a color that’s quite popular at the moment. Adding a little extra to the cool finish, the paint has a metallic flake that will really make it pop as it speeds along under the sun. 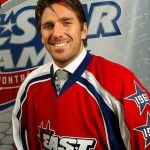 Oh yeah, check out the Lundqvist badge on the rear… nice touch. With the black rims and a unique stealth finish, I can only score this high. Devin Setoguchi is a Canadian right winger for the NHL Winnipeg Jets. Being half-Yonsei, Devin has acquired the nicknames “The Gooch” and “Seto” from his surname. Devin took his Aston Martin Vantage to California Wheels, where they sat the powerful V12 on a set of 20″ Asanti Monoblocks. 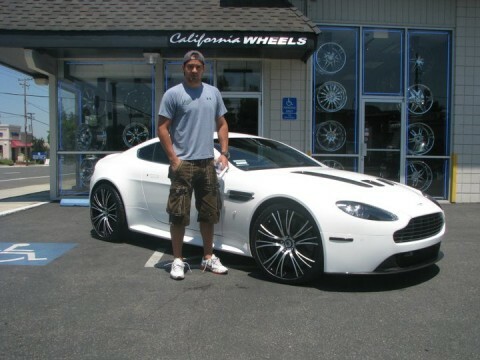 It’s good to see a Vantage over the DB9s, and the rims match perfectly. 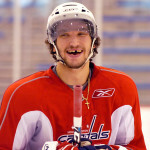 Thanks to a few hockey sticks and shoulders to the mouth, Alex Ovechkin has that loveable goon look about him. 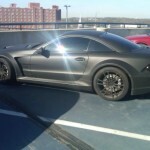 The NHL’s Washington Capital’s Russian winger owns this truly menacing SL 65 Black with the license plate “A0 GR8”. This Black Series doesn’t just look murdered out; it looks like the charred remains of something set up from hell.